He, along with Dr Sanjeev Kumar Chauhan of India’s Punjab Agricultural University and Dr Robert Jandl of Austria’s Federal Research and Training Centre for Forests, Natural Hazards and Landscape, will present a session entitled Sustainable Biomass for Energy and Industrial Raw Materials at the IUFRO World Congress this fall in Salt Lake City, USA. In the session, Dr Bruckman and his colleagues will provide a review of current issues in biomass development from biomass cultivation to development of biomass-based products and conversion of biomass to energy, with a strong focus on forests. They want to identify hotspots and deficits in research and to provide a platform for international discussion and for the initiation of collaboration across borders and topics. Outlining some of the positive attributes of biomass use, Dr Bruckman points out that it’s a renewable feedstock so its availability is nearly infinite and it has a value-added aspect in that it could create green jobs in remote areas. As opposed to crude oil, biomass can be produced just about anywhere, so it has the potential to make the energy economy foundation more resilient. On the other hand, fossil fuel pricing – especially crude oil – is vulnerable to declining stores of easily available resources and political instability, among other issues. Biomass is also nearly greenhouse gas neutral. Carbon released during its utilization was taken from the atmosphere during growth and, he adds, if used to feed industrial processess, it is also carbon-negative so long as the carbon sequestered during growth is trapped in the new material or product (and the longer the product’s life cycle, the better from a carbon sequestration perspective). In some cases, he suggests, biomass feedstocks may even grow on marginal soils that are unsuitable for agriculture. But he also notes that, on the other side of the biomass utilization ledger, there are some critical challenges that must be met head-on, including the possibility of competition between biomass crops and primary agricultural production. Physical space is another issue. Biomass needs area in which to be produced and this implies land use change and some related negative consequences of that. Intensive cultivation may trigger groundwater pollution or exhaustion in dry regions and it may also trigger soil degradation which is difficult, if not impossible, to repair. 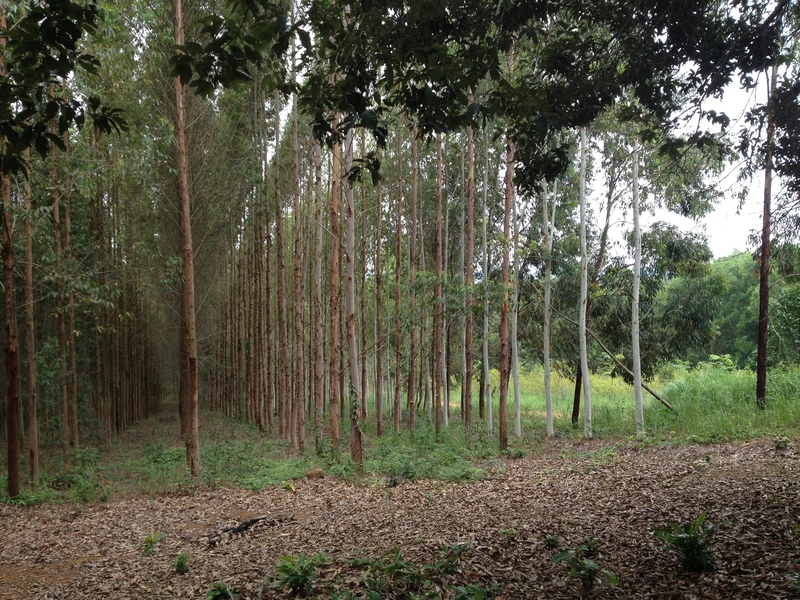 Dr Bruckman also notes that, from an ecological and carbon perspective, plus the related loss of biodiversity, changes to local climate and the release of large amounts of carbon into the atmosphere, it is a major negative factor if tropical forests are clear-cut to establish biomass crops. But, he says, while these issues are indeed critical, they are not insurmountable. They can be addressed and overcome through research, multinational cooperation and the development and sharing of best practice guidelines. It becomes a question of ensuring the measures taken to enhance biomass production are correctly implemented and appropriately managed, Dr Bruckman says. A biomass system cannot be based on existing “fossil” infrastructure, and that is an important factor to keep in mind, he adds. To Dr Bruckman that means bio-based economies will have to act in a more localized and decentralized fashion. This will make the whole system more flexible and should help mitigate negative consequences from land use changes. There is a need to develop the biomass sector, Dr Bruckman says, in order to sustain the planet for future generations. There is a huge potential. But biomass development, management and utilization must be science-based in order to rule out potentially negative consequences.